When it comes to habitability, Earth may not provide the best example. Indeed, astrobiologists are saying we should look for planets that are more hospitable to life than ours — a new class of objects they're calling superhabitable worlds. They even know where we should look. In the search for extraterrestrial life, astrobiologists are increasingly moving beyond the standard stellar habitable zone hypothesis (HZ). As a recent study noted, life could emerge on planets and moons outside the so-called Goldilocks Zone, what the authors have dubbed the subsurface habitable zone. 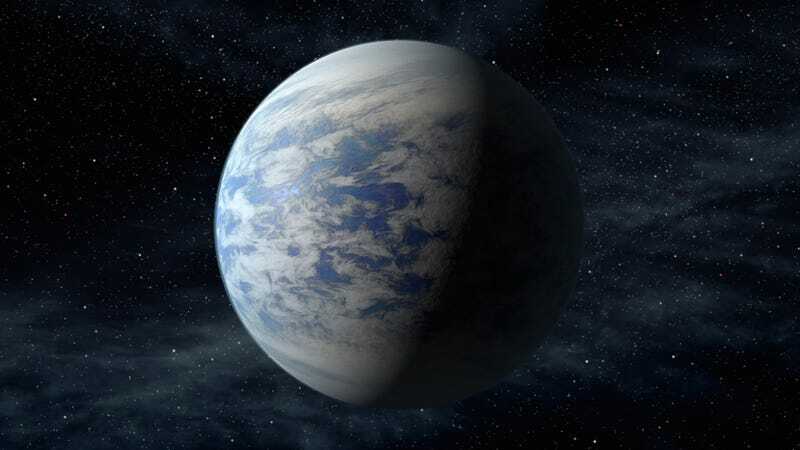 But more to the point, just because a planet can host liquid water on its surface — the criteria for habitability — doesn't mean it can also foster life. Indeed, as we search for life on other planets, we've used the Earth as our standard reference. Practically speaking, it's the only model we've got — and it appears to be a pretty damned good one; Earth has been teeming with life for billions of years and, quite importantly, it's even spawned a radio-capable, space-faring civilization. That being said, what makes us so sure it's the best model for habitability? Could other planets or moons be even more suitable for life? A pair of astrobiologists say yes. To find a habitable and ultimately an inhabited world, they argue we should adopt a biocentric approach rather than a geo- or anthropocentric one. Superhabitability describes a perfect storm of life-friendly factors. In their recent paper, astrobiologists René Heller and John Armstrong describe no fewer than 18 of them. In addition, superhabitable planets or moons should be biologically diverse, because higher biodiversity makes planets more habitable in the long term. Cosmologically speaking, superhabitable planets should orbit stars that are slightly smaller than our Sun, specifically K dwarf suns. Ideally, these stars should be old and have the capacity to burn for a long, long time. It would also help if the planet was in a solar system with other habitable planets, thus increasing the chances of panspermia. Did life on other planets originate from Earth? Superhabitable worlds should also experience early planetary bombardment from celestial objects, like asteroids and comets. This provides essential organic molecules and volatiles. Typically, these active periods taper off over time, resulting in eras of prolonged stability and a dramatically decreased chance of mass extinction events. Fascinatingly, the scientists argue that stable, nearly-circular orbits are not a requirement. It is uncertain whether any given spin rate is desirable for life, as long as it helps keep the surface uniformly habitable, while radical changes in such a spin rate might be detrimental. Did the existence of the Moon encourage life to evolve by changing the diurnal and tidal cycles, or was this an impediment to evolution? Could moderate changes of a world's obliquity or rotation rate even force life to adapt to a broader range of environmental conditions, thereby triggering more diverse evolution? Ultimately, is it possible that a terrestrial planet without a massive moon, or a planet more subject to changes in spin, could be superhabitable? Given all these factors, the scientists say that the Earth is only "marginally" habitable. Heller and Armstrong say there's a known superhabitable candidate, the K1V star Alpha Centuri B. Remarkably, it's the closest system to ours — a "mere" 4.37 light-years away. Even more remarkably, it hosts an Earth-mass planet in a 3.235 day orbit, and a sun that's slightly more developed than our ours. It even features subdued radiation levels that shouldn't cause significant climatic variations on its planets. "[It] provides an ideal target for searches of planets in the HZ and, ultimately, for superhabitable worlds," write the authors. "If life on a planet or moon in the HZ of [Alpha Centurai B] evolved similarly as it did on Earth and if this planet had the chance to collect water from comets and planetesimals beyond the snowline, then primitive forms of life could already have flourished in its waters or on its surface when the proto-Earth collided with a Mars-sized object, thereby forming the Moon." How amazing is it that one of the best candidates for life in the galaxy happens to be the star next door? Read the entire study at Astrobiology: "Superhabitable Worlds."